Have fun this month and decorate the front door of your apartment for Halloween. The spookier the better, so go all out!  The Woodview at Legacy Farms Blog has some fun and spooky suggestions that you just might want to try. Gain inspiration to create your own unique front door that expresses your individual style and mad art skills. Create the illusion that bats have taken up residence in your home with this bat-tastic covered front door. To make it you will need black felt, scissors, a bat template, and an adhesive that won’t damage your door. Or if you don’t want to make your own bats, you can buy already made bat decals. Not very scary and yet totally adorable, this craft is super easy and inexpensive to make. Everything you will need can be found at your local party store: a black rectangular plastic table cloth, 6” sticky backed googly eyes, a 9x4 inch styrofoam cone, 6x3 inch styrofoam cones, black crepe paper streamer, and two-sided tape. Transform your front door into a looming, oversized mummy come back from the grave! This DIY door decoration is fun and inexpensive to make, and not too time-consuming, either. Use white paper crepe streamers, two white paper plates, a black marker, and double-sided tape to make the transformation. Have tons of brown paper lunch bags that you don’t know what to do with? Put them to good use by using them to make this door monster. This may take a few more supplies and a bit more time to put together, but it’s sure to thrill your guests. With a few minor additions, your plain white front door turns into the main character from The Nightmare Before Christmas, Jack Skeleton. All you need for this project is three sheets of 8.5x11 black paper and one roll of black electrical tape. This ghostly graveyard front door and porch idea is pretty impressive. With this eerie entrance to your apartment, only the brave in heart will dare to visit. Scroll down to the end of the article to find the steps for making it for your own home! What other cool and creepy Halloween DIY projects have you made or always wanted to try? Share your ideas with us in the comments! Thanks for reading and have a frighteningly fun Halloween here in Hopkinton, MA!